We’ve been to 13 US states. 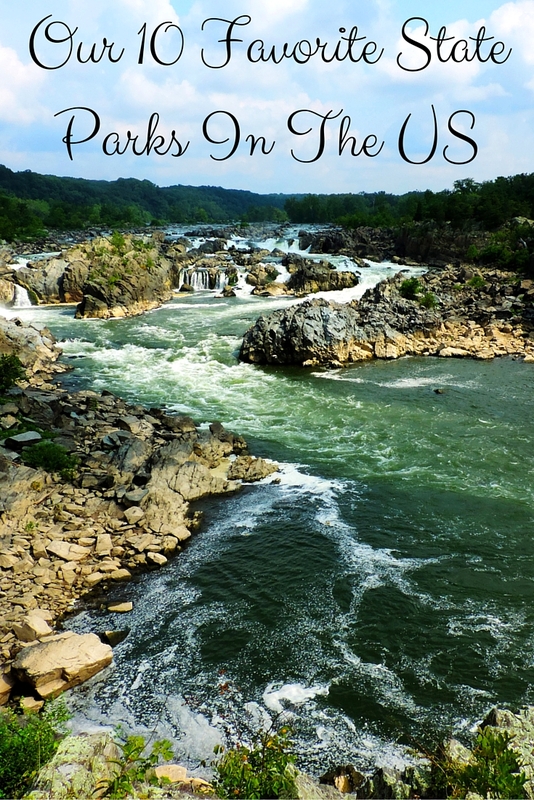 17 national parks, 30+ state parks, 20+ other kind of parks (preserves, regional parks, recreation areas etc.). Yes, we love outdoors! And the United States is a huge country with a great variety of hiking opportunities. A lot of its national parks are world famous and for a good reason. On the other hand state parks are smaller and less famous, but that doesn’t mean they are less amazing. Our list of 10 favorite US state parks we’ve visited proves that, too, and we know there’s a lot more. 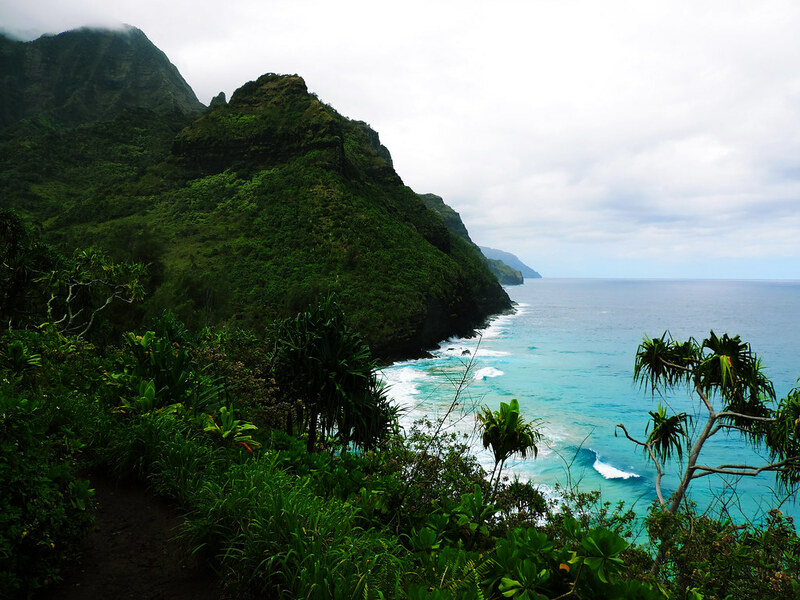 I just can’t find appropriate superlatives to describe Na Pali Coast in Kauai, the oldest of the Hawaiian islands. That incredible green of the tropical forest and that incredible turquoise of the bays along Na Pali Coast would have been already enough to take our breath away. But there were more: Na Pali’s towering cliffs, wild Hanakapi’ai Beach and a 300 feet (91 m) tall waterfall hidden in a velvet green valley. 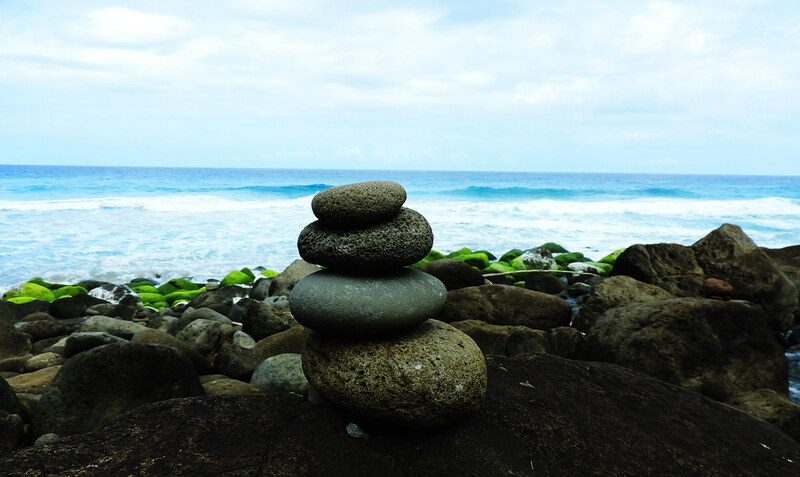 We hiked Kalalau Trail to Hanakapi’ai Falls which is a full day out and back hike and one of the most exotic ones we’ve ever done. Read more about it here! 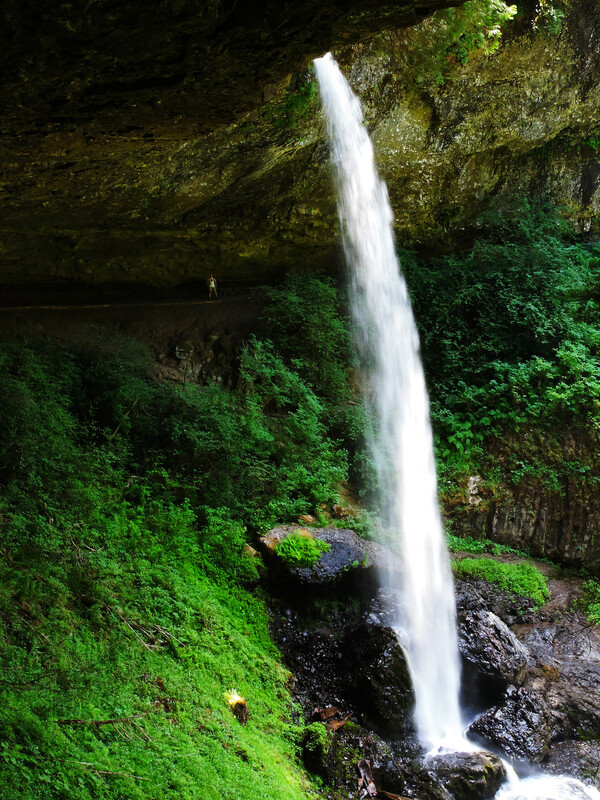 Silver Falls State Park is Oregon’s little waterfall paradise with its Trail of Ten Falls. The name doesn’t lie, this relatively short hike actually features 10 waterfalls and we could even walk behind some of them. It’s a moderate half day hike and it’s perfect for a day trip from Portland. Read our post about Silver Falls State Park here! This small park has a specialty for waterfall lovers: a 2 miles long hike in a glen with 19 waterfalls! The narrow glen is fascinating itself, but there’s a waterfall at almost every step you take. And Watkins Glen has a walk-behind waterfall, too. 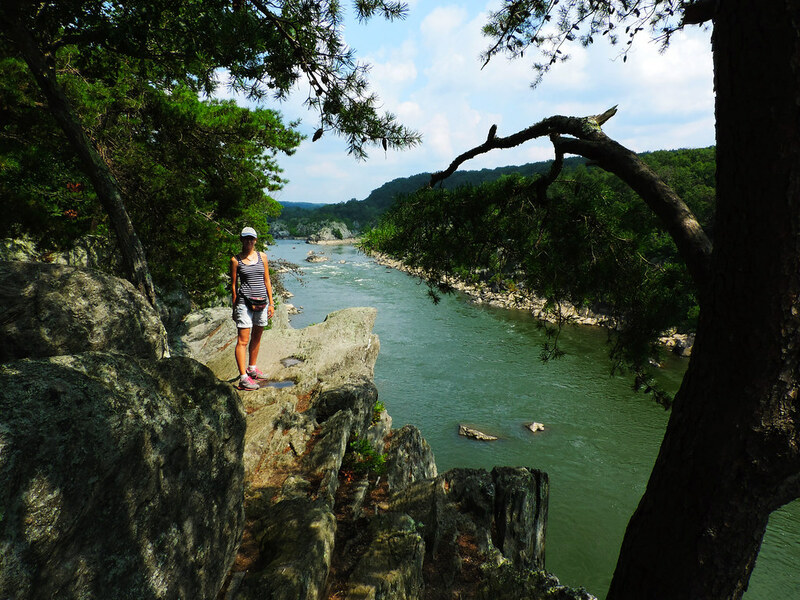 Read more about our experience on the Gorge Trail here! California’s Lake Tahoe is a huge, perfectly blue, clear and deep alpine lake in the Sierra Nevada. D. L. Bliss and Emerald Bay State Parks are two parks next to each other located on the west shore of Tahoe and they offer everything outdoor lovers could ask for: hiking, kayaking, paddleboating, swimming. 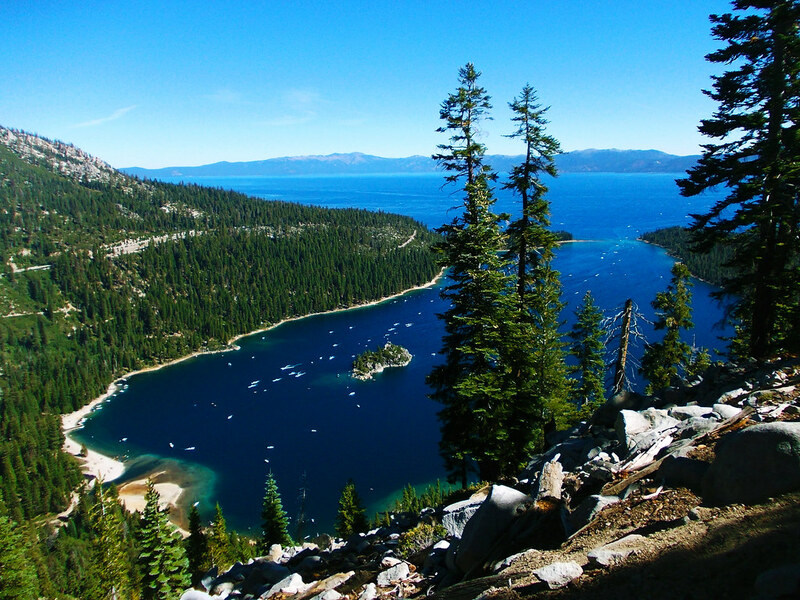 Our favorite hike in the two parks is Rubicon Trail which is an enthralling shoreline hike including Emerald Bay, the largest and most charming bay in the lake. Read more about the hike here! 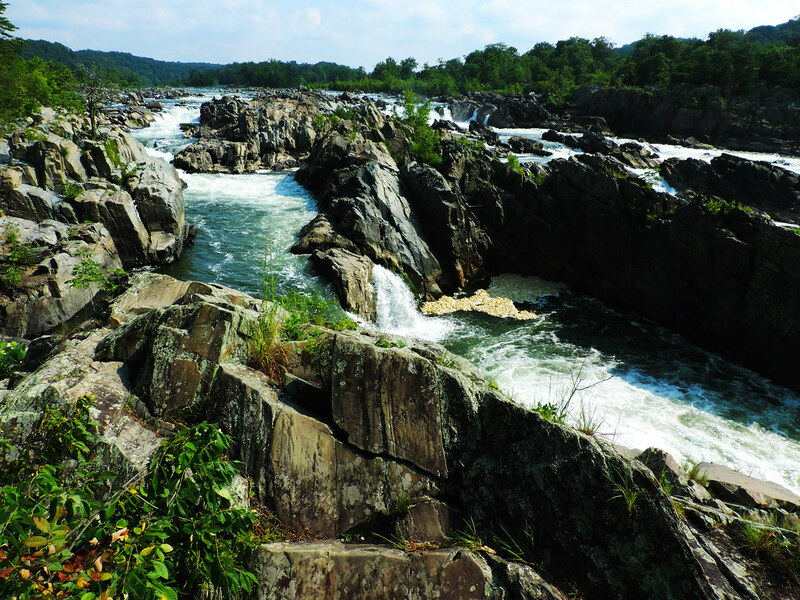 Not far from Washington D.C. Great Falls Park includes a very scenic section of Potomac River. It’s the section where the river falls over a series of jagged rocks and flows through the narrow Mather Gorge. There’s 3 overlooks of the lovely cascading falls not far from the visitor center. We hiked the River Trail here which is a 3 miles roundtrip hike running right next to the edge of the cliff above the river. 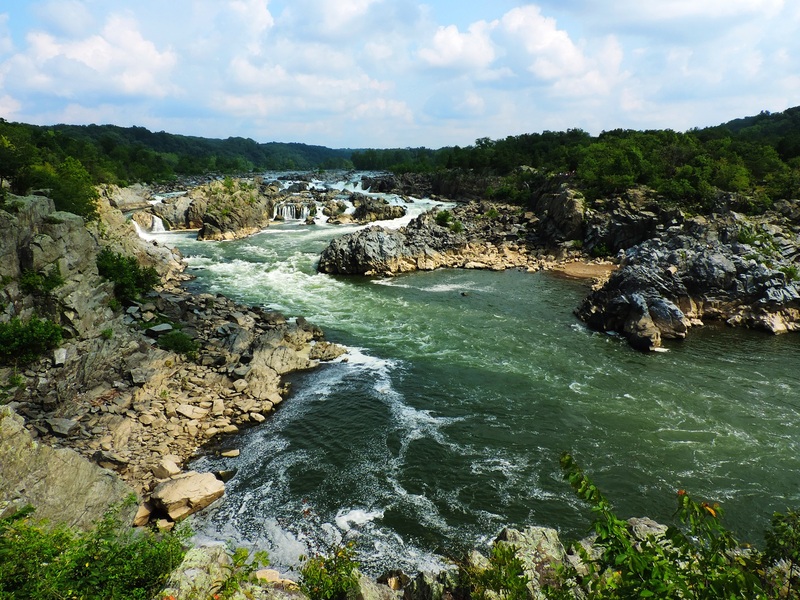 As you may guess there’s quite spectacular views of the Potomac River and Mather Gorge on the way. Yes, the American side of Niagara Falls itself is a state park. 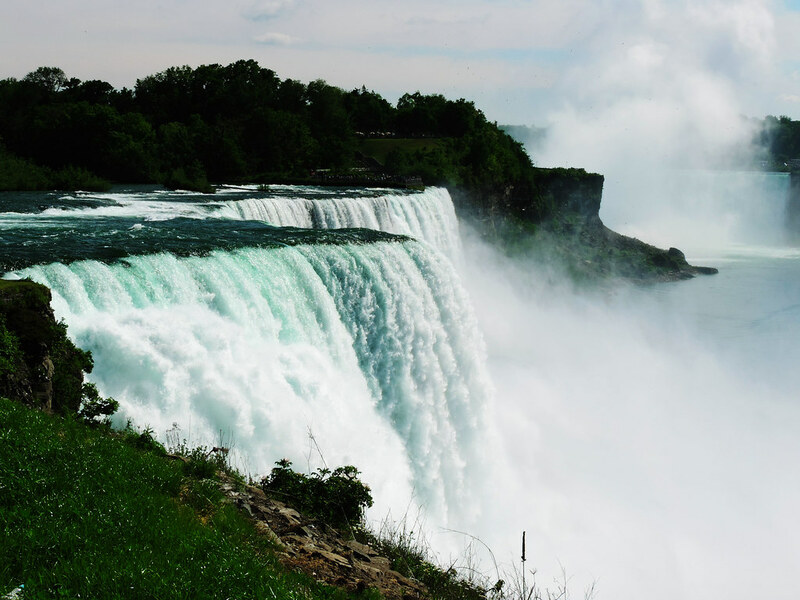 Of course, the main attraction here is Niagara Falls, but there’s some short, lovely walks near the Falls and on Goat Island with lots of green and benches everywhere to sit and enjoy the views. Still in the park Three Sisters Islands on Niagara River offer peace and quiet for those who wish to escape from the crowd. 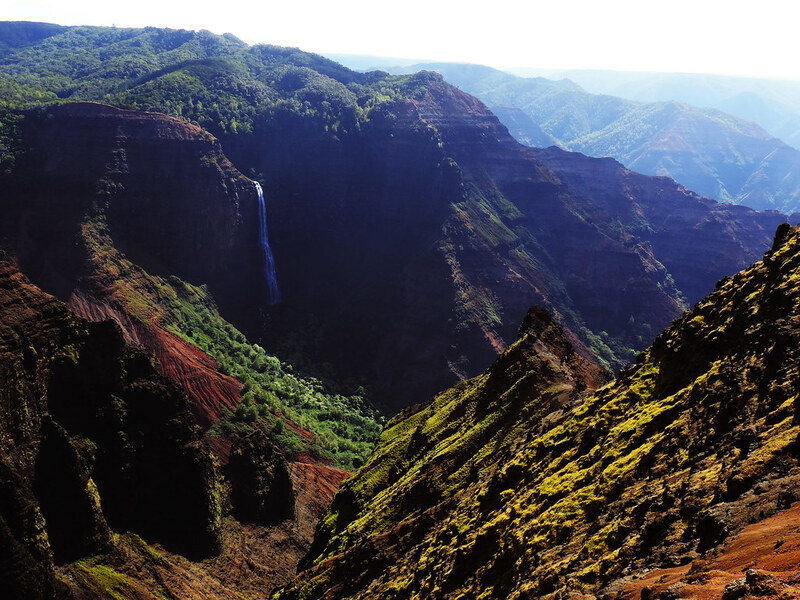 Kauai’s Waimea Canyon is also called as ‘Grand Canyon of the Pacific’ and though its size couldn’t compete with ‘the’ Grand Canyon, but it’s greener and full of romantic waterfall views. 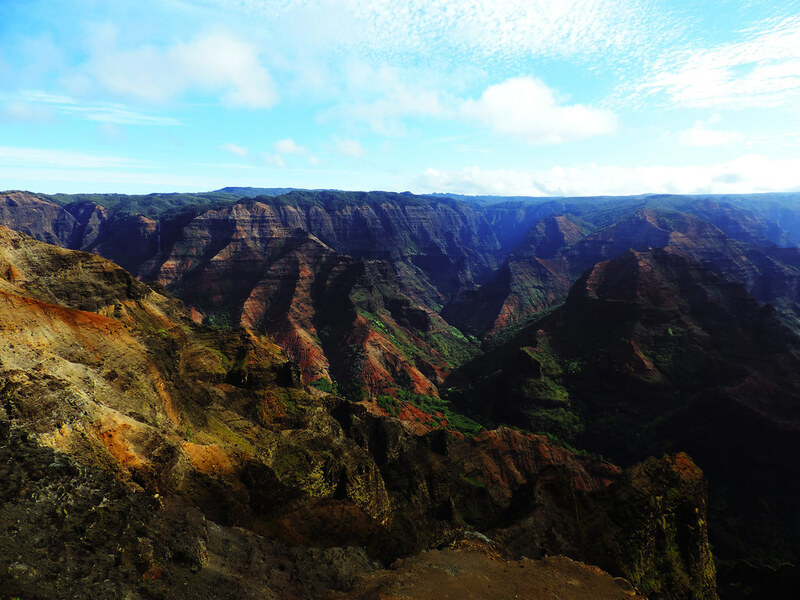 Waimea Canyon Drive is a scenic drive providing access to captivating viewpoints of the canyon and Waipoo Falls. We also hiked Kukui Trail in this park which led us down to Waimea River and rewarded us with marvelous views of the canyon all the way. 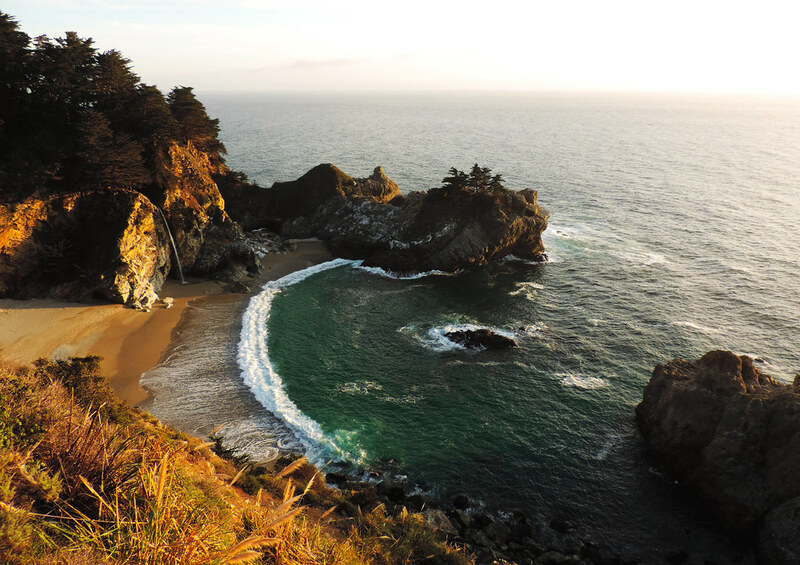 Big Sur is probably the most magical part of California’s ocean coast – and that is really something, because California coast has a lot to offer! 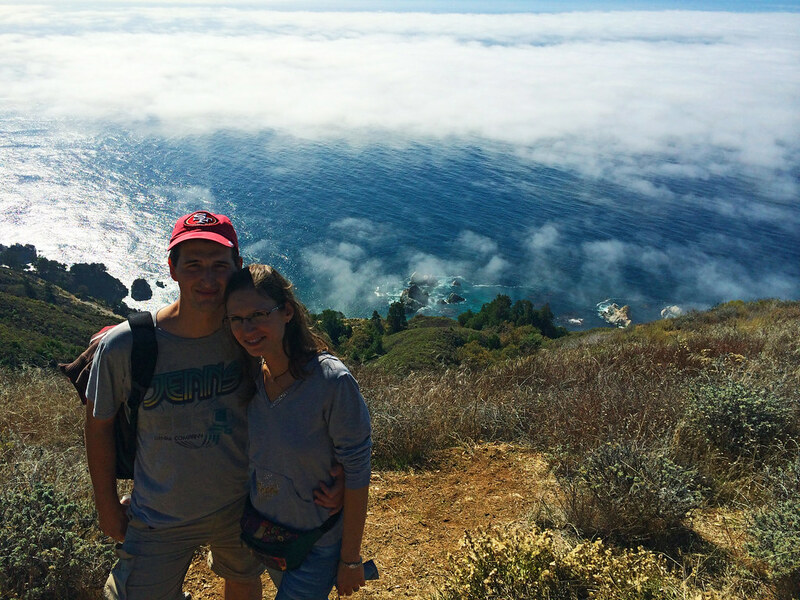 Julia Pfeiffer Burns State Park is located at Big Sur and its most iconic place is McWay Falls – it is that picturesque bay with the waterfall which doesn’t even look real. Well, it is! The Waterfall Trail is only a 0.64 mile easy round-trip and you can just park next to the road to access the trail. But it’s not the only hike in this park, there’s some longer trails, too, with nice coastal views and some of California’s legendary redwoods (some smaller ones). Again Kauai, Hawaii. But we can’t help it, we have to mention Wailua River State Park: the first place we had a kayaking trip and quite an exotic one (okay, what is not exotic in Hawaii?). This kayaking trip combined with some jungle hiking took us to the Secret Falls (or Uluwehi Falls by its proper name). 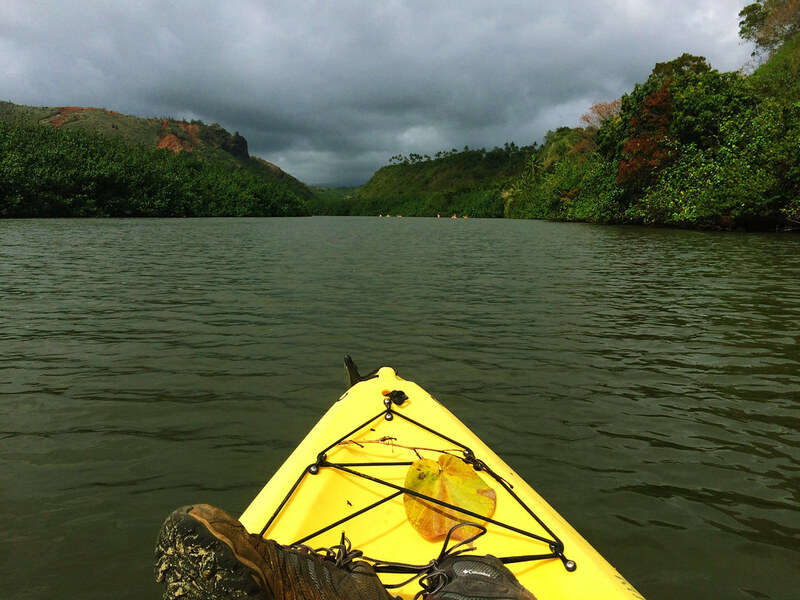 Wailua River State Park can be explored the best by kayaking on Wailua River, but don’t worry, you don’t have to be a pro kayaker. It’s an easy route and it’s impossible (well, almost – you know, never say never 😀 ) to get lost even if you choose a self-guided rental option. Just make sure to book your kayak in advance as rentals are limited per day. Whirlpool State Park is a bit further down from Niagara Falls and it offers trails along the Niagara River. 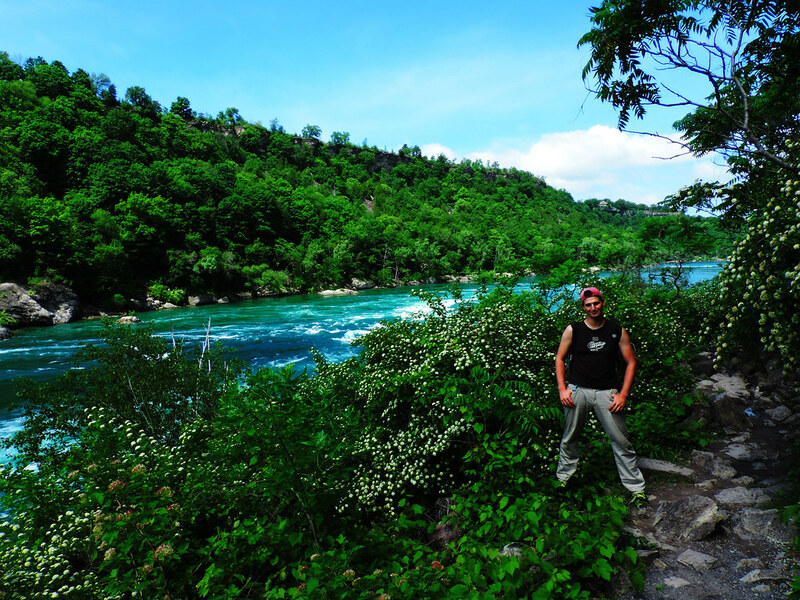 Hiking in this park was a beautiful, refreshing part of our Niagara visit as the crowd is concentrated close to the Falls and the views of the astounding currents and whirlpools of Niagara River can be enjoyed peacefully. We started our hike on Niagara Gorge Railway Trail and continued on Whirlpool Rapids Trail, then back. Well, this was our top 10. What are some of your favorite US state parks? Previous post Why Should You Visit Basel, Switzerland?